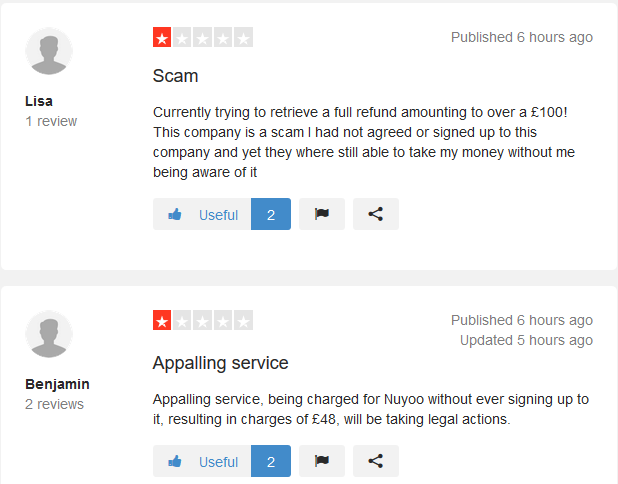 Thousands online complaining you’ve been stealing their money without their permission. 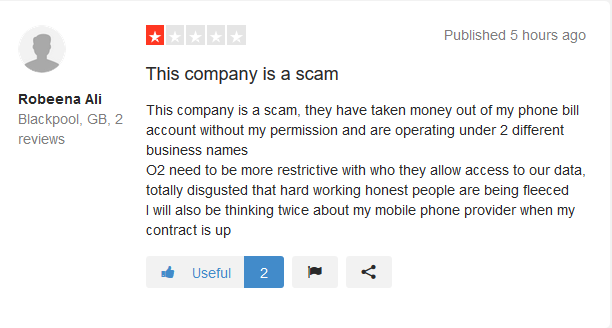 Of course you are a scam company. Scumbags like you deserve to rot in prison for all the fraud. I hope your Directors and CEO get the punishment they deserve. Vile con artists. 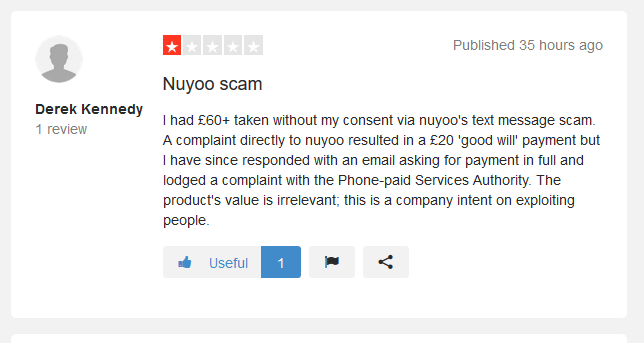 I’m glad @ThreeUK and their customer service helped me today to sort it out the problem with @nuyoo_fitness who I’ve never heard of and in total they charged me £45. 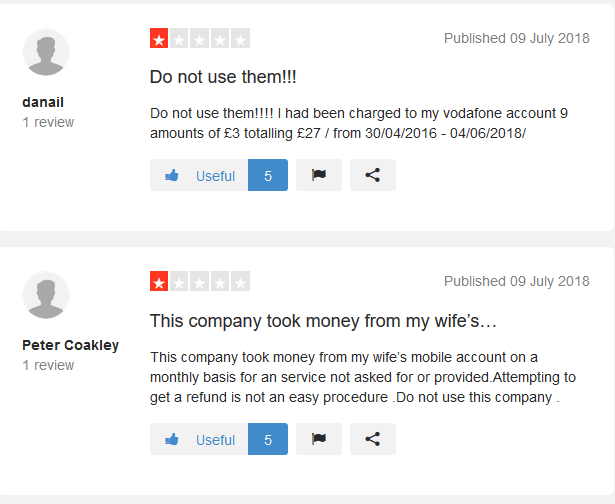 Shady business practices have a big impact on your reputation! Hope your shady business will be closed soon!!! 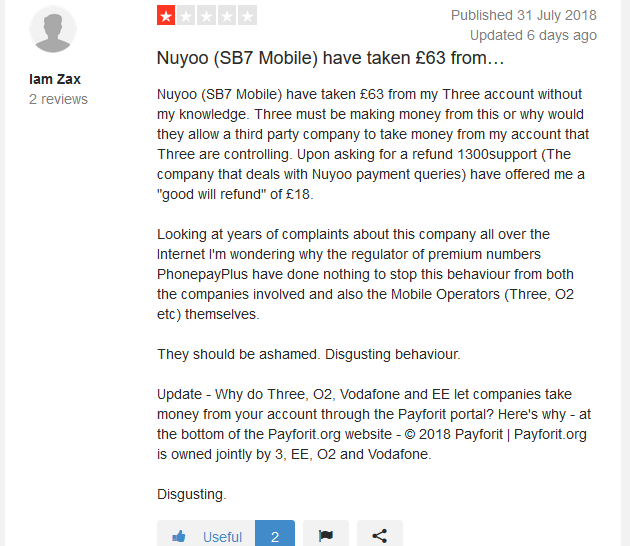 @ThreeUKSupport @nuyoo_fitness Hi 3, Nuyoo, Why have you charged me £3 a week for the last 3 months when I have no idea what this is and certainly didn’t sign up for it. Nuyoo CS just hung up on me half way through when I asked for manager…will he call back???? I am being charged £3 a week for something I haven’t sign up for. Why, this the second time. Every time i upgrade my o2 sim nuyoo start charging me. @nuyoo_fitness I just got signed up when I didn’t opt to. I was watching @youtube and all of a sudden I got a text saying I signed up???!! What a scam you’re a joke! @vodafone how do you let this happen?????? ripped of through 3 network for 6 month’s. 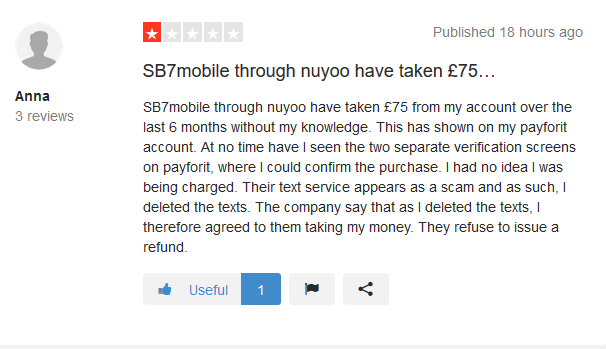 under section 45(3) of consumer act 2015, if you don’t return your company will close down once I ask everyone to launch court case against nuyoo. game over guys.